We are living a paradox: The achievements of the industrial and information ages are shaping a world to come that is both more dangerous and richer with opportunity than ever before. Whether promise or peril prevails will turn on the choices of humankind. The progress of the past decades is historic—connecting people, empowering individuals, groups, and states, and lifting a billion people out of poverty in the process. 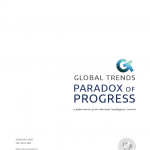 But this same progress also spawned shocks like the Arab Spring, the 2008 Global Financial Crisis, and the global rise of populist, anti-establishment politics. These shocks reveal how fragile the achievements have been, underscoring deep shifts in the global landscape that portend a dark and difficult near future. 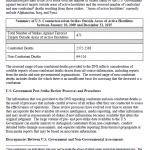 In accordance with the President’s direction and consistent with the President’s commitment to providing as much information as possible to the American people about U.S. counterterrorism activities, the Director of National Intelligence (DNI) is releasing today a summary of information provided to the DNI about both the number of strikes taken by the U.S. Government against terrorist targets outside areas of active hostilities and the assessed number of combatant and non-combatant deaths resulting from those strikes. “Areas of active hostilities” currently include Afghanistan, Iraq, and Syria. 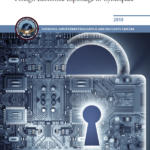 In 2011, the U.S. Department of Homeland Security’s (DHS) Office of Intelligence and Analysis (I&A), in coordination with federal and SLTT partners, began conducting an annual assessment of fusion centers to evaluate their progress in achieving the COCs and ECs and to collect additional data to better understand the characteristics of individual fusion centers and the National Network as a whole. 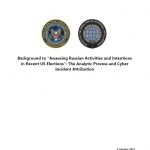 DHS/I&A initiated the 2012 Fusion Center Assessment (2012 Assessment) in August 2012 as the second iteration of the annual assessment process and the first assessment to provide data on year-over-year progress in implementing the COCs and ECs. 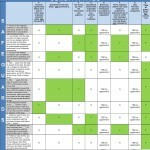 The 2012 Assessment was also the first assessment to collect National Network performance data based on an initial set of five performance measures adopted in 2011. 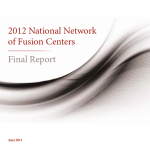 This 2012 National Network of Fusion Centers Final Report (2012 Final Report) summarizes and characterizes the overall capabilities and performance of the National Network based on the results of the 2012 Assessment. 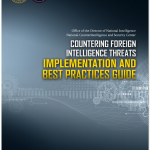 This report does not include fusion center-specific capability or performance data. Instead, it uses aggregated data from the 2012 Assessment to describe the capability and performance achievements of the National Network. The Implementation Manual is a companion document developed to provide amplifying and explanatory guidance on the syntax and use of the markings contained in the CAPCO Register. While not the policy basis for individual agencies’ use of any particular marking, the Implementation Manual cites the applicable authority and sponsor for each marking. 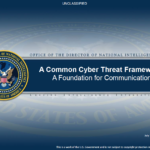 Some of the Dissemination Controls and Non-Intelligence Community Dissemination Control Markings are restricted to use by certain agencies. They are included to provide guidance on handling documents that bear them. Their inclusion in the manual does not authorize other Agencies to use these markings. Non-US Classification and Joint Classification Markings are restricted to the respective countries or international organizations. The 2008 version of the Director of National Intelligence’s Classification and Control Markings Register was released via a FOIA request and is available in a redacted form via the Federation of American Scientists. 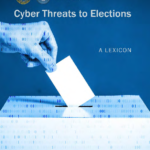 We have obtained an unredacted version and are presenting selected pages alongside the previously released version to highlight the information that was redacted, including several NSA dissemination control markings such as FRONTO, KEYRUT, SEABOOT and SETTEE. 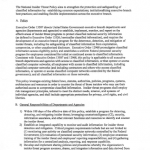 Office of the Director of National Intelligence Annual Report on Security Clearance Determinations for Fiscal Year 2010 discussing 4.2 active security clearances as of 2010. Throughout this week and the next, we will be publishing a large number of reports from the Director of National Intelligence Open Source Center on a variety of topics. Rather than present all of the documents at once, we have decided to publish approximately five to ten reports a day in separate entries on the site. It is our belief that this will enable better scrutiny of the documents, as opposed to overwhelming readers with a large mass of information. 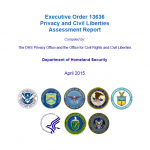 Though the majority of these reports are marked For Official Use Only, all products of the Open Source Center, including Unclassified documents, are inaccessible to the general public. One of the only sources to release these reports in the past has been Steven Aftergood of the Federation of American Scientists. Due to the limited number currently available, we estimate that our publication of this material will more than triple the amount of Open Source Center products available to the public. Elements of the U. S. government hosted an interdisciplinary, unclassified workshop to better understand the potential threat from independently acting terrorists with biological expertise. Such lone-actor terrorists have the potential to carry out high-impact biological attacks while generating few signatures, making detection or disruption of their efforts challenging. The one-day workshop explored the possible motivations, intents, and objectives of lone-actor terrorists who might consider conducting biological attacks; examined scientific infrastructure vulnerabilities that these individuals could exploit; and identified strategies to mitigate this potential threat. 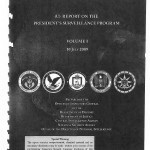 Title III of the Foreign Intelligence Surveillance Act Amendments Act of 2008 required the Inspectors General (IGs) of the elements of the Intelligence Community that participated in the President’s Surveillance Program (PSP) to conduct a comprehensive review of the program. 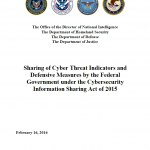 The IGs of the Department of Justice, the Department of Defense, the Central Intelligence Agency, the National Security Agency, and the Office of the Director of National Intelligence participated in the review required under the Act. The Act required the IGs to submit a comprehensive report on the review to the Senate Select Committee on Intelligence, the Senate Committee on the Judiciary, the House Permanent Select Committee on Intelligence, and the House Committee on the Judiciary.